It's been awhile so I thought I would give an update. This post will most likely be random as my emotions are obviously a big huge twisted random piece. I'll start off with the "tougher" stuff. 1. intrauterine fetal demise, the subject line from my OB's office. I had to email my doctor to send a note to HR verifying I had a stillbirth for my bereavement days. They sent me a copy and Jude's death was listed as this. I googled it and it said "a pregnancy that died in the womb." This caused a HUGE wave of "NO HE DIDN't" one of the hardest things I've been dealing with is the fact that I had to hear Jude's strong heartbeat daily and I felt him moving around as they gave me the epidural. He was killed because I was forced to deliver-he died as he came out because he was too young. He didn't just randomly "die in my womb." One of the hardest pills for me to swallow with this is that he was so perfect and so ALIVE. them. It's therapeutic. I don't want to act like nothing happened. Yesterday a mom of twins was talking to me and said the phrase with a shutter. I looked at her and said "neither could I." If you would have told me at my gender reveal party that I was going to vaginally deliver my babies, at 2 different times, and go through all the contractions/pain all to have them die, I would have said "never in a million years could I do it." And guess what? Life had other plans and when it's in your face, you have to. 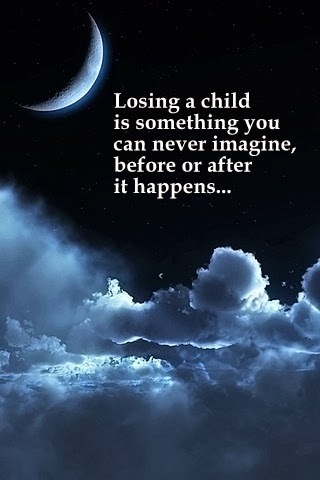 I loved this idea-losing a child is something you can never imagine before or AFTER it happens. 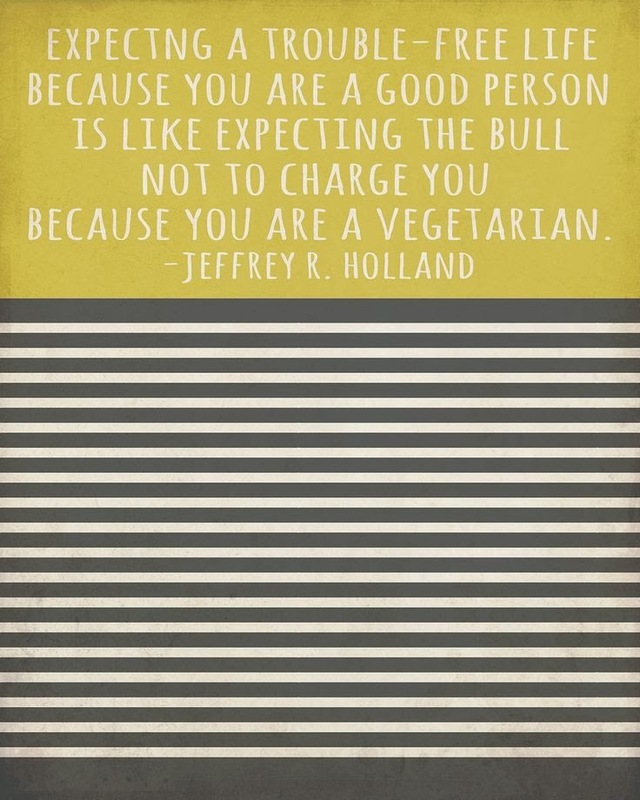 It's so true. I have now done it twice yet I cannot imagine it. 3. Pregnancy. The last 2.5 weeks have been 2 steps forward, one step back. However, as a ttc blog, I follow tons of people trying to get pregnant and it happens; I'm also 30. I'm right in that zone of people that are starting their families. I have been so drowned in sorrow over the loss of my sweet and so-longed-for babies that I simply forgot that people around me are totally going to get pregnant all the time. Where weeks ago, since I thought I was in the "safe zone" it was so easy to "root" for people since I FINALLY was in that zone, but now I am so angry at pregnancy. Realizing that this could have been my only one, I embraced it. I LOVED being pregnant. I loved my stomach growing. The kicks were out of this world. The celebrating and anticipating. And the BAM pregnancy played a cruel trick on me and robbed me of my dreams. I hate it now. I hate it because I still want it because I want children but it scares me. I hate it for scaring me-if I ever manage to do it again I will be horrified month after month. I hate it because i don't trust it. Most of all I hate it because most women have the luxury of getting a positive pregnancy test and then believing it. They become so excited and they go on to have a normal pregnancy. I envy that un-jaded joy that new-moms get. I will never ever have that. Pregnancy really really let me down. With 3 years of infertility I mastered the skill of "happy for them, sad for me." Obviously right now I'm not "happy for them" because it just causes all of these flashbacks of things going wrong. I know I will get to that place again, but I am so scared for the future "surprise" announcements from friends and family-I also accept that I am dead center in the zone of people who are getting pregnant and I know with time, I will again learn to cope-I'm mad at pregnancy because of the sadness it causes me when other people are expecting and I feel so guilty. *Side note for people who get pregnant normally-more than likely you know someone infertile struggling/fighting to get pregnant. The best thing you can do for her is to tell her when you get pregnant in an email or text. It is the most sensitive and sweetest thing you can do as a friend-allow her to process it how she needs to. It stings very bad initially and we do not want to cry in front of you (or worse in public when you do a surprise announcement) or have to respond instantly. We eventually decided to be truly happy for women who achieve this and who don't have to struggle-we just have been so hurt. I promise you don't have to tip toe or "hide" it from us. Both my sister and sister in law did this for me in a gentle/distant way and it was so kind. 4. Why? They have done several tests and so far haven't found where the infection was. I hate that. I can function. I started back to work just 2 weeks after I kissed Jude's forehead goodbye. I can smile. I can laugh. The students have no idea the level of pain I'm dealing with. But then one thing happens and I can go into sobs. I saw a picture of Brinly's hands for the first time. I saw a woman with a huge stomach unexpectantly at the store. I see the blanket I held Jude in, his one earthy possession. I realize I just went through a crazy blender and have been shoot out asked to wonder what just happened? Yes, I can function. But as mentioned "she smiles but her heart throbs." I feel like a heavy wet blanket of deep deep sadness is on me all the time. I know it will get better with time but what a non-fun thing to carry. 2. Next Steps: As mentioned, despite the living hell we just experienced, we are not done in this fight. We were too close to quit. I want to cross that finish line. I get to meet with our specialist at the end of the month and we will go from there. What are the odds of this happening to me again (pPROM)? If it's higher than 10% I'm almost 100% we will continue to knock on the door of surrogacy. If it's lower, I'm still scared. They suggest I get a cerclage no matter how many embryos implant since I had one before BUT when you sign the cerclage consent form it says there is a chance of water breaking, pre-term labor, and infection (all words that cause massive anxiety because those are all the reasons why Brinly and Jude and NOT in my stomach as I type). I'm not sure if I can mentally handle another pregnancy and if there is risk, I don't want to send another baby to heaven if my body continues to be a "war zone." 3. The human spirit: It is amazing how kind "mankind" can be. Someone anonymously sent us $100 and said it was on their hearts-Thank you to that person. Just today on my doorstep was a little pink box. It didn't say who it was from but there were 4 charms with the letters "J, B, I, J" I instantly knew it was for Jude and Brinly but I had to stare at the I and J again. Then it hit me "Isaac" and "Jayden" our earlier miscarriages. How incredibly and overwhelmingly kind-I cried and cried holding it in my hands looking down and missing my 4 could-have-been and should-have-been babies and I cried because someone is so intertwined with our loss. Those 4 letters on that necklace are more than any 4000 words of comfort. Thank you to you too. You are a truly amazing woman. I have to agree--you are truly amazing! You and Darren WILL get through this. AND I very much appreciate your advice about pregnancy announcements. I honestly didn't know that until today, which maybe sounds silly. My train of thought would have been "I don't want to hide behind a text message/e-mail because I know she has fertility issues" (as in ME being a coward in a way) but now I realize how selfish that is, and how it is way more respectful to give that person time and space to process. And remember Matthew 5:4, "Blessed are those who mourn, for they will be comforted." I am so glad you are finding some comfort. Mankind can definitely be awesome sometimes. Thank you for that wonderful prayer. Oh Holly. I know there are no words that I could say to make everything you're feeling any better. I'm just sorry. Sorry for everything you've had to endure. Life is so unfair! Life is unfair! I agree. Holly.. I share most of these feelings with you. Some of mine are a bit different. I did have a stillborn. I did try to get pregnant for nine months, only to have an early miscarriage. I tried for three months after and have just recently decided that I cannot handle "all of it" again and I need a break. I have been grieving for nine years this Jan. I went through an entire first year grieving with medication (lots of it). I tried to grieve with alcohol too. During the first year, I also lost my child's father, my first love-- he couldn't handle the grief and left me. Then I got off all the medication, continued to journal, became a published writer, became proactive in my grief, and fight every day of my life to memorialize my son and never forget his sweet face. If you ever need someone to talk to-- please contact me. The only way I survived the loss of my son was by talking to another Mother who lost her only child as well. I'd be more than happy to talk to you, listen to you, or whatever you may need. My prayers are with you- I know what it's like to hate pregnancy and everything that you mentioned. Take gentle care. I'm so sorry you have to be part of this awful club too!. What is the name of your book? I am so glad to see a post from you. I have been hoping that you are getting by, because at this point nothing more can be expected or possible. As for the pregnancy announcements, you are SO RIGHT. A text or email is SO appreciated. Having to instantly respond in a way that satisfies the needs and wants of my friends is hard and never happens. And truly like you said, I am not unhappy for them, I am just profoundly and deeply sad for me. Huge hugs to you! Thank you for the prayers!! We need them. I'm looking into to support groups but it feels like a double hit since I need infertilty support AND stillborn support! I'm praying for you. I actually go to a grief support group which includes women who have lost babies at all gestational ages and even after birth. It's been a huge blessing to me. If there is something like that in your area, I highly recommend you check it out. And, I'm sorry for the recommendation. I remember the first time I was invited to my support group after my first loss, I wanted to scream at the person who invited because I didn't, I couldn't belong in such a group. But I did. I do. And I'm so so so sorry that you do, too. The "before or after" quote is so true. I lost my daughters barely two months ago, and it already seems unimaginable again. And yet it also poses a very real fear for any future pregnancies that I may be blessed to experience. Thinking of you. I'm so glad there are kind people supporting you. Words just don't cut it, but I do offer my condolences. My heart breaks for you and your family. Thank you so much for posting about sending an email/text. We have secondary infertility, and it was so much better finding out about other pregnancies at home so I could process and cry alone. One of my close friends told me she was pregnant in front of a group of people and I could feel everyone's eyes on me. I ended up crying in front of her and felt horribly after. It is so important to give those struggling with infertility the chance to process before seeing the pregnant person face to face. I had to keep stopping and wiping my eyes to read through this post. Still continuing to pray for you. People would tell me how strong I was after my miscarriage and how they "could never imagine going through that." I would think, "I know, I can't either." I didn't see myself as strong; I saw my self as simply surviving. Because sometimes that is all we can do. Sending you hugs. Amazing. You are amazing. I am thinking of you as you try to move forward. Holly, you are always in my thoughts. And you are so right about the "right" way to tell your struggling friends about a new pregnancy, thanks for that PSA. I wanted to suggest two resources in the Portland area: Brief Encounters: http://www.briefencounters.org/bewp/ and Resolve: http://www.resolve.org/support-and-services/support-group/support-groups-list.html. I have found both to be incredibly helpful. I think the Brief Encounters group might be especially helpful when you are feeling up to it. Please know that yes, no one can understand your grief fully, but there are lots and lots of people who want to support you however we can as you grieve and heal. Sending lots of prayers your way. I have not been through what you have, but I do feel that pregnancy is no easy thing and it is scary! If/when I get pregnant again, I will be scared it won't last and will not be announcing it. I admire you courage! Please keep fighting! I am so happy to hear you have connected with other women who have gone through this. 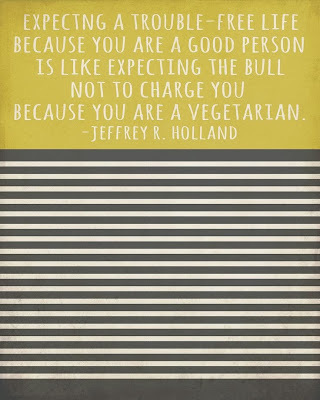 I love the quotes you included- especially Jeffrey R. Holland! The Lord compensates the faithful for every loss. That which is taken away from those who love the Lord will be added unto them in His own way. While it may not come at the time we desire, the faithful will know that every tear today will eventually be returned a hundredfold with tears of rejoicing and gratitude." You will be compensated for your losses. I don't know how exactly, but maybe it will be with a healthy, easy pregnancy, resulting in the most healthy, perfect baby/s? How wonderful would that be! You are in my thought and prayers. Always wishing you all the best! You have such strength. I pray for y'all every night.